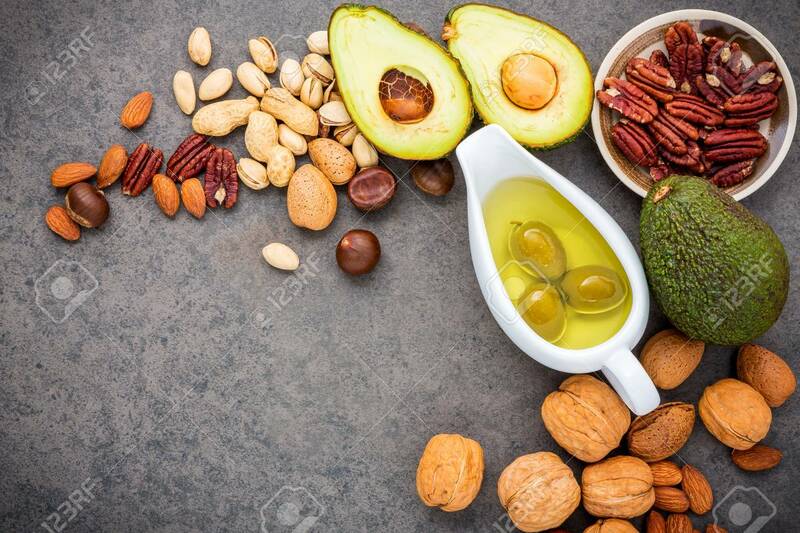 Selection Food Sources Of Omega 3 And Unsaturated Fats. Superfood High Vitamin E And Dietary Fiber For Healthy Food. Almond ,pecan,hazelnuts,walnuts,olive Oil,fish Oil And Salmon On Stone Background. Lizenzfreie Fotos, Bilder Und Stock Fotografie. Image 87324213. Standard-Bild - Selection food sources of omega 3 and unsaturated fats. Superfood high vitamin e and dietary fiber for healthy food. Almond ,pecan,hazelnuts,walnuts,olive oil,fish oil and salmon on stone background. Selection food sources of omega 3 and unsaturated fats. Superfood high vitamin e and dietary fiber for healthy food. Almond ,pecan,hazelnuts,walnuts,olive oil,fish oil and salmon on stone background.